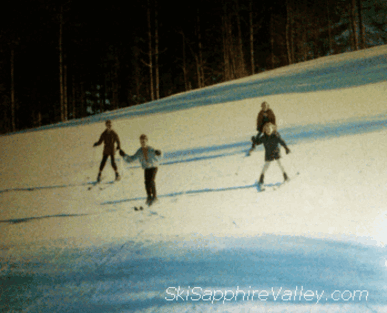 This image below is the first recorded run on the new Ski Sapphire Valley slopes in late 1964! 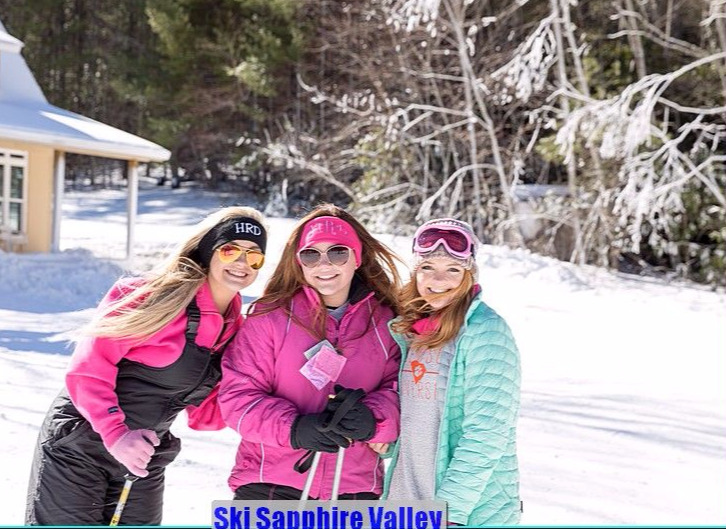 Mr. Gene Howerdd, Jr. also built Hogback Lake that same year. 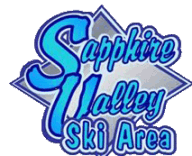 Anyone who purchased a lot on the new lake received free passes to the new Ski Sapphire Valley ski area! 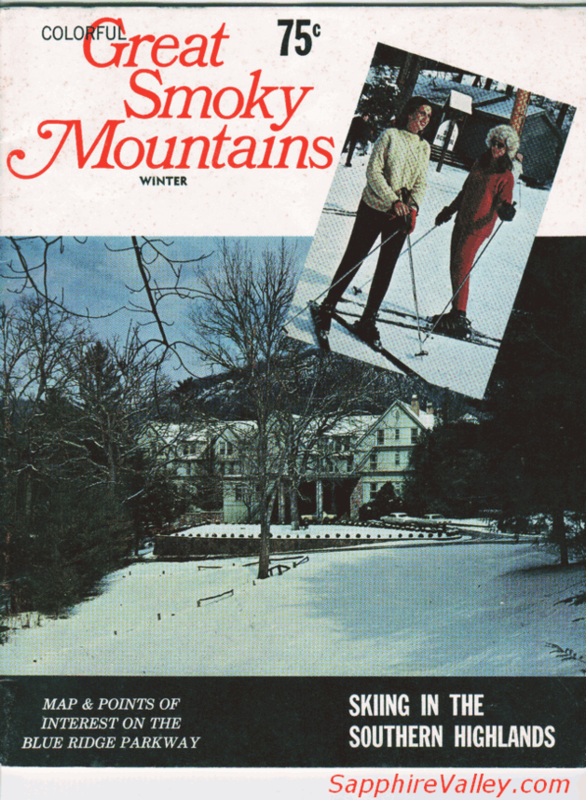 The old Fairfield Inn (also shown below) was in operation and many southeastern visitors got their first exposure to snow skiing here.